A Care Home has continued its reputation for unrivalled excellence, receiving a five-star rating for its services following an unannounced inspection. Blackwood’s Maclehose Court Care Home, in Greenock, was commended by the Care Inspectorate for its stellar care and the support provided to residents. Findings from the report showed the home had achieved top grades for its “very good” level of care and support, quality of staffing and also the quality of leadership and management skills demonstrated by staff. The Care Inspectorate report also noted that Maclehose Court had continued its’ pattern of care excellence, with management and staff focused on providing service users with the highest standards possible. It was also noted that a successful balance had been achieved between providing appropriate levels of care and support – and promoting independence. Mary Chisholm, Service Manager at Blackwood’s Maclehose Court, was thrilled with the Care Inspectorate report and its’ five-star review of the development. She said: “We are absolutely delighted with the review, Maclehose Court is like a family community and to have the Care Inspectorate recognise this is fantastic news. “The fact that it was an unannounced inspection makes it even more satisfying as it demonstrates that we provide five star services all the time and not just for the days we know we have an official review. “The relationship between staff and tenants is truly second to none and the level of dedication and passion for improvement and further training has always been first class. 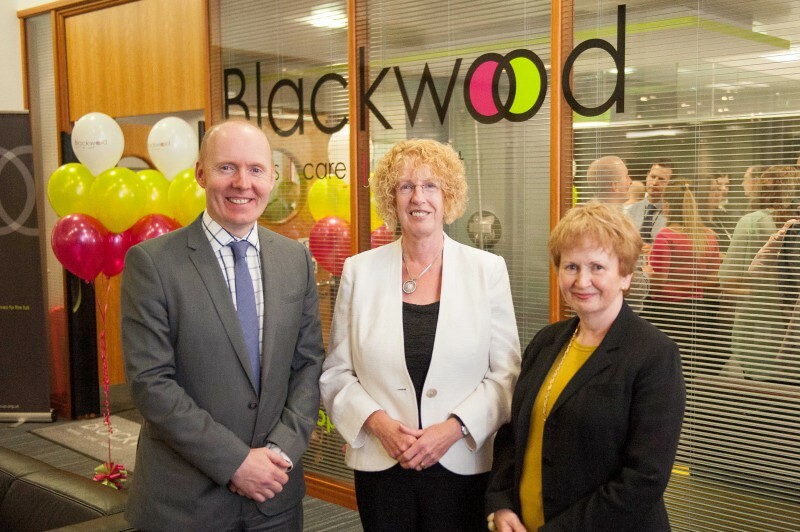 Blackwood Chief Executive Fanchea Kelly was delighted with the housing development report. She said: “Blackwood’s ethos is to provide unrivalled provisions of care to its residents – and Maclehose Court is the perfect example of this. “The level of dedication from Maclehose Court is commendable and its willingness to make improvements and develop staff skills is first class.